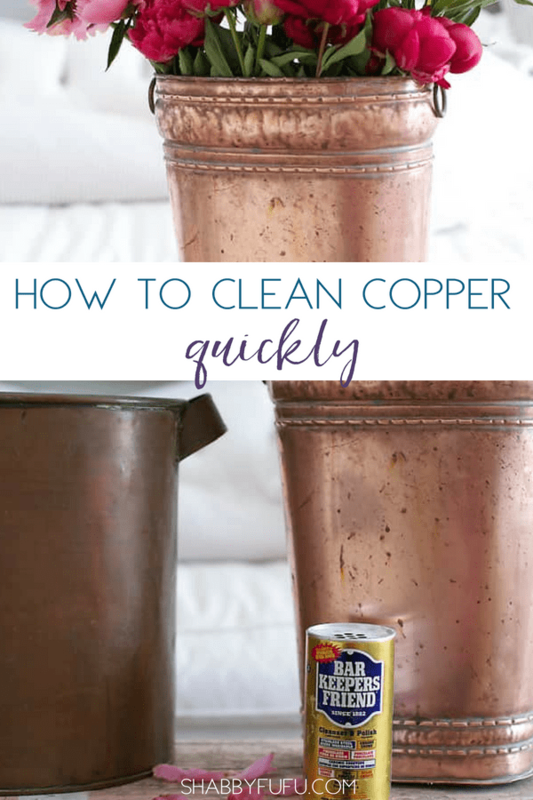 Clean copper quickly and if you inherit or come across thrift store pieces this is the best way! doing way too much of that with the remodel that I told you about on the previous post. My poor hands and don’t even mention manicure. Tucked away in a corner of that apartment were some pieces of copper that had seen better days in terms of sheen. I do love a mix with a little bit of bling, but they were so grimy and it looked as though someone made an attempt to clean them in the past with a lot of streaking. They are pitted from life by the sea, but I don’t mind that. I do however mind dirt. This piece is quite large and could be used to hold umbrellas, magazines, or flowers (of course:-). 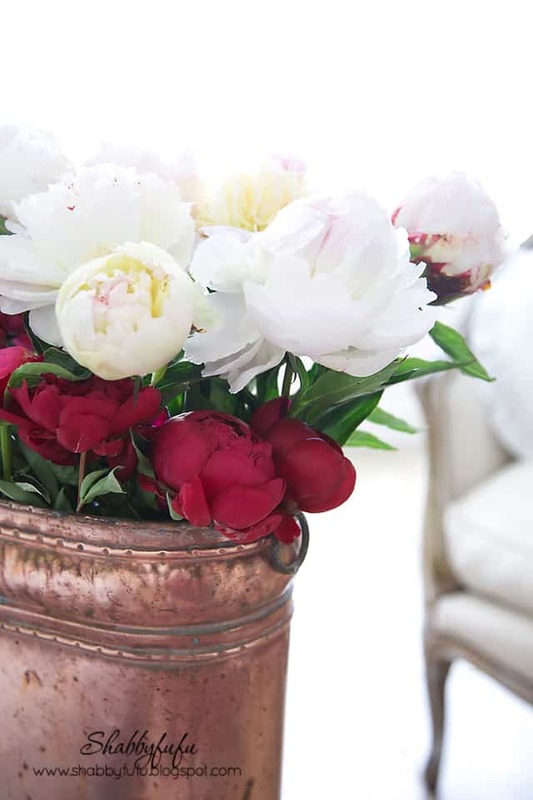 Before I set to clean the pot holding the gorgeous peonies, they color was like the giant handled bucket that I’ve yet to work on. Rather dull…rather bleh. 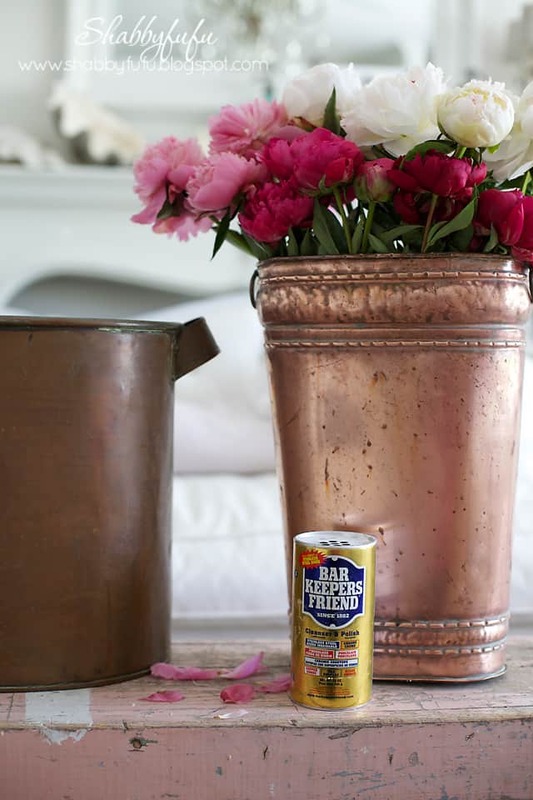 A little bit of elbow grease with one of my favorite cleansers and if you haven’t tried it and have any metal in your home then you should…Bar Keepers Friend. I use it on my stainless steel sink, handle sets and boy oh boy did we use up a ton of it in that condo clean-up! Just a wet paper towel or sponge and a bit of scrubbing does the trick. You can find Bar Keepers Friend at most grocery stores. 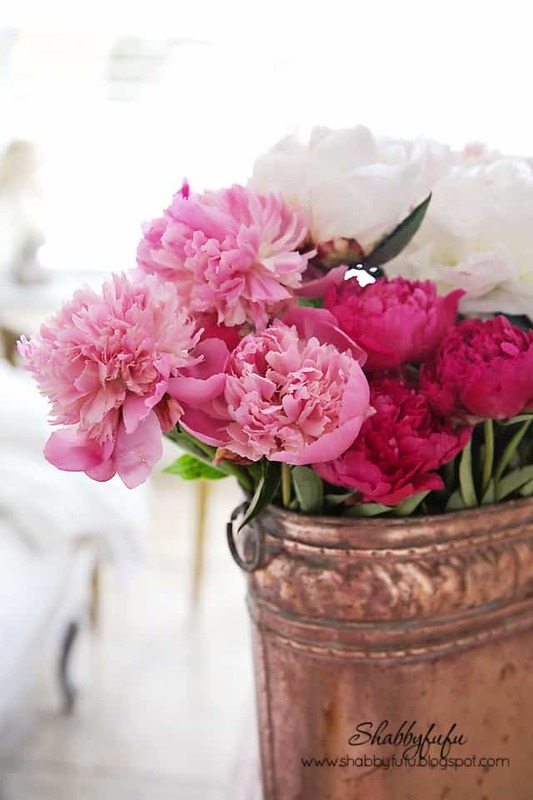 So pretty–I just bought peonies at TJ yesterday as week. I love them! So pretty….like a new penny! 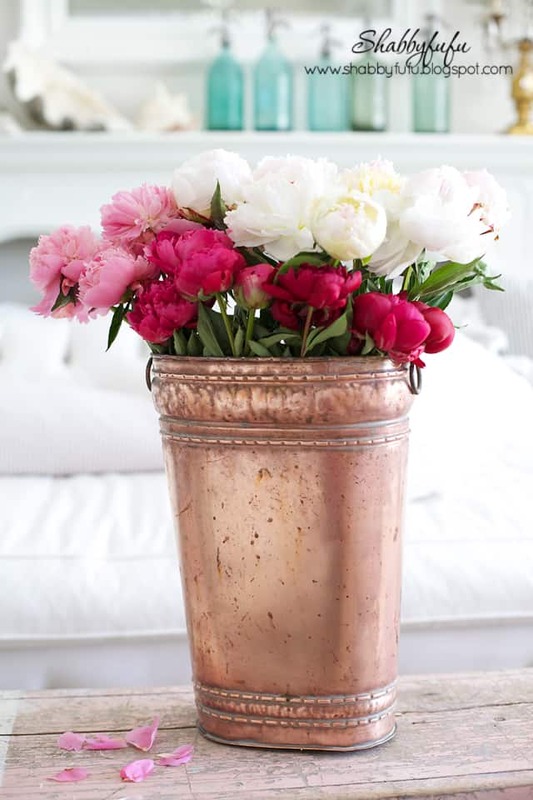 I love the copper with the peonies. I'm so impressed that you shined it. 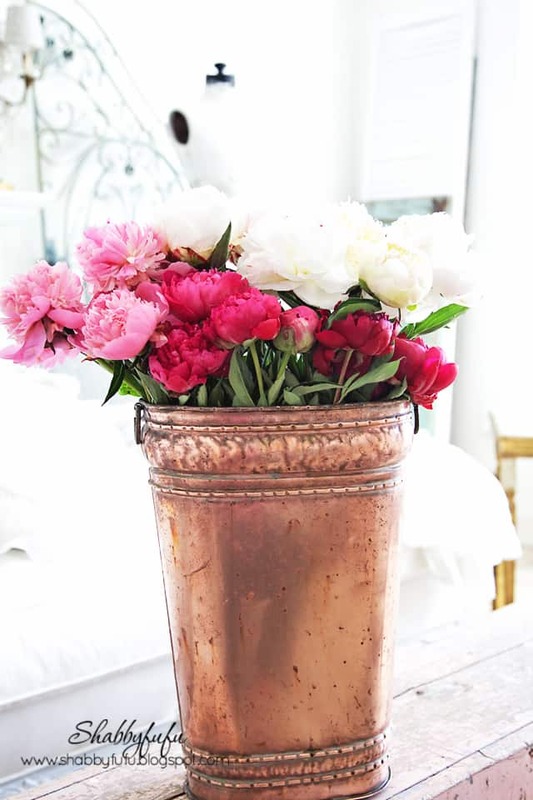 Lazy me would have told Industrious me, "but the patina looks so charming". Hmmmm…looks as if I have some polishing to do. Lovely post! So pretty! 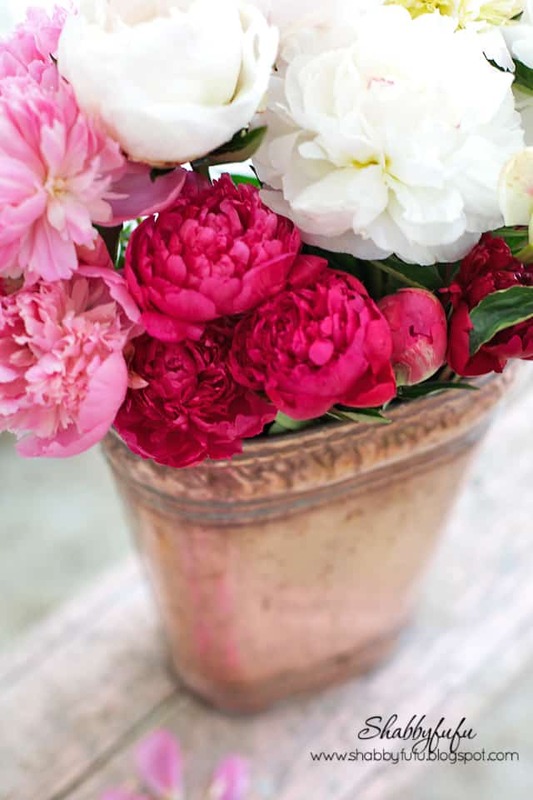 Love your Peonies too! Barkeepers Friend is a long time fav of mine! I also use on my stainless steel sink, and my pans every time I wash them. This product has them looking brand spanking new with little effort. Love your post, pictures, and new look!! xo Ashley B. Love this beauty. I have been using Barkeepers Friend for years. Love this product. I use to clean our utility sink where I clean my paint brushes. Works every time. 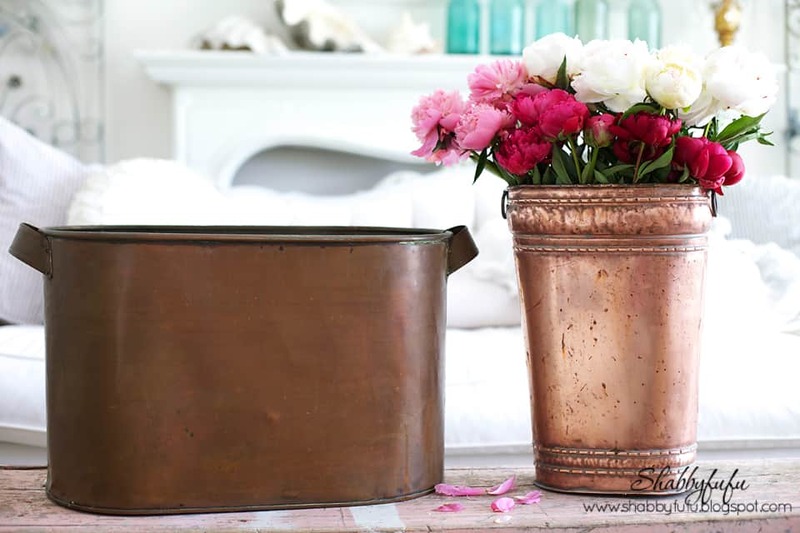 Antique copper should not be polished or cleaned because you will destroy the patina. If you suspect your item is an antique and want to preserve its value contact a reputable appraiser before proceeding.